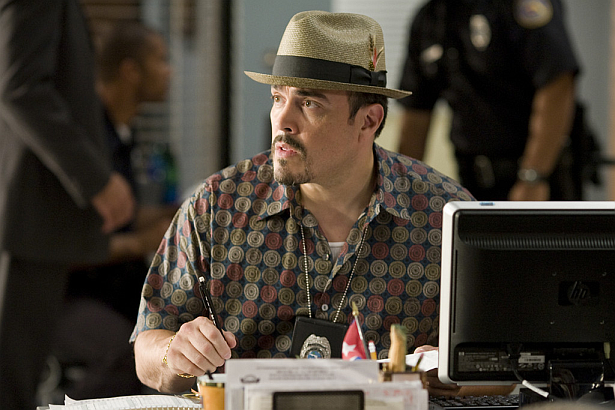 Dexter alum David Zayas is joining the cast of Fox‘s Batman prequel drama series Gotham as a recurring Deadline reports. He will play DC Comics character Mob Boss Salvatore Maroni, one of the city’s most dangerous gangsters. In the Batman mythology, Maroni is a street operator who clawed his way into the city’s drug trade and unions. He is second only to Carmine Falcone in power and reach, and second to none in his appetite for violence. In time, Maroni will develop into one of Batman’s first enemies and become infamous as the man responsible for disfiguring DA Harvey Dent, leading to his transformation into Two-Face. But for now, as he strives to gain more territory in Gotham, he’ll find himself on a crash course with his rival Falcone (John Doman) for control of the city. In the feature The Dark Knight, the role of Maroni was played by Eric Roberts.